On the School Year Rollover date, all of the trackers in your district for the past school year will be archived. Teachers can still move them out of the archive, but they will be listed under the year they were created. 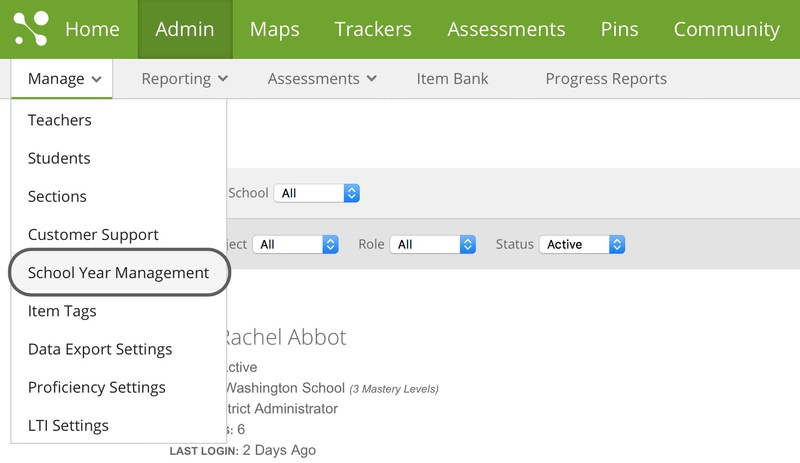 Click on Admin, hover over Manage, and then select School Year Management. You will be able to view the information of the school year rollover and when it will take place.